The 2014 Canada 5oz Silver Proof High-Relief Maple Leaf $50 is almost like a sculpture! To achieve this, technically enhanced tooling was created especially to sustain the additional minting pressure involved. I’m forever astonished by the impressive weight and size of 5oz coins, and with such high-relief detail, this one was a particular favourite. The London Tower Bridge Coin Bar, showing truly incredible craftsmanship. London’s Tower Bridge is one of the world’s most famous landmarks, and now it has been immortalised on a meticulously crafted silver ‘coin bar.’ This unusually shaped coin boasts remarkable craftsmanship with a surprising level of detail for its size. In fact I consider this coin to be one of the most finely engraved coins that I have seen, making it a truly exceptional issue. The world’s most famous painting – on a silver coin bar. The Mona Lisa is of course instantly recognisable, but in 2014 collectors got the chance to own their very own version. This distinctive rectangular silver coin is perfectly suited to show off the famous painting in the best way possible. The Mona Lisa is richly detailed in colour and it was the first time that I had ever seen a piece that combined numismatics with art in such a striking way. I was mesmerised when I first saw this coin – because of the hidden secret you can reveal. Representing our home planet, the coin features a beautiful image of Earth surrounded by all eight planets in our solar system. But, all isn’t as it seems, as Earth has been highlighted with special ink so that when a UV light is shone upon the coin the planet is picked out, glowing blue against the rest of the background. For that reason this coin just had to be among my top 7 of the year. The ceramic poppy display at the Tower of London last year was a momentous dedication to the fallen, which inspired the nation. A ‘100 Poppies’ £5 Coin was also issued to mark the centenary of the First World War. For each sale, a donation was made to the Royal British Legion to support their work and provide financial, social and emotional support to all those who have served and are currently serving in the Armed Forces, and their families. The coin was an unprecedented success – alone raising over £40,000 for the Royal British Legion. It’s not surprising that this coin is no longer available, and having helped to raise such a large amount for the Royal British Legion there is no question about it being one of my top coins of 2014. 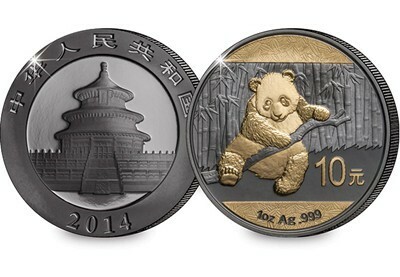 What makes this edition of the 2014 China Silver Panda Coin so special is the fact that it is plated with a metal even rarer than platinum – ruthenium. The Chinese 10 Yuan is already one of the world’s most sought after silver coins – but this collectable edition tips the bar by combining three of the world’s precious most metals, silver, gold and black ruthenium. Featuring both a famous design and a one-off finish, it isn’t difficult to understand why the edition limit sold out so fast. The few collectors who own this issue will appreciate just how lucky they are to know that there’s a chance this specification may never be available again. Of course these are just a handful of the fascinating coins issued last year, and it’s this variety which makes coin collecting so compelling for me. Many have sold out now, but fortunately 2015 is already proving to be just as interesting. Did you manage to add any to your collection? 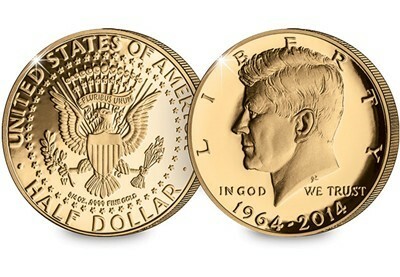 There is still an opportunity to own one of these coins. With limited stock left, The London Tower Bridge coin is still available to own. You can purchase a London Bridge coin using the link below.